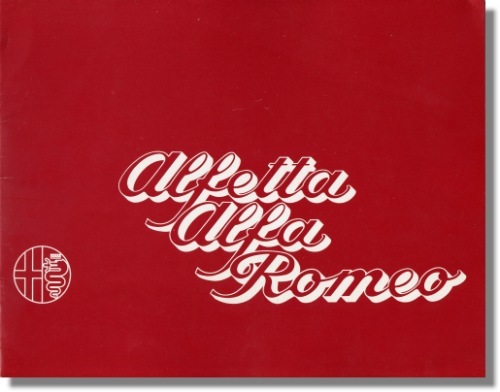 1972 Alfa Romeo Alfetta brochure. Vintage May 1972 sales brochure for the first version of the Alfetta 1.8. This is a sales brochure that measures some 11 x 9 inches (or 28 x 22 cm) and folds open to some 22 x 9 inches. Print reference: 725 C 88, printed by Arti Grafiche Ricordi, Italy.